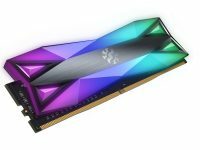 Taipei, Taiwan – May 31, 2018 – ADATA® Technology, a leading manufacturer of high-performance DRAM modules and NAND Flash products, announces that it has overclocked its XPG SPECTRIX D80 RGB DDR4 memory module to 5531MHz in a liquid-nitrogen-cooled configuration. The milestone was achieved through the joint effort of ADATA’s XPG team and MSI’s OC team. The result was confirmed by HWBot, and reaffirms ADATA’s strong R&D capabilities and the outstanding performance offered by the XPG SPECTRIX D80 RGB memory module. 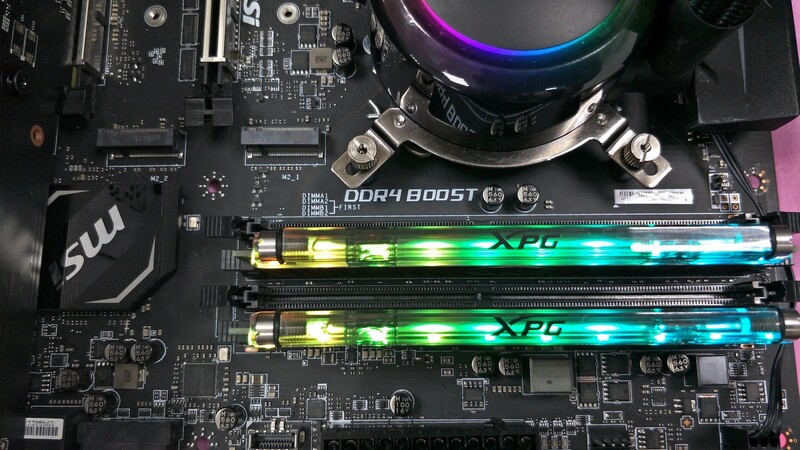 XPG SPECTRIX D80 DDR4 RGB is the world’s first RGB DDR4 memory with a hybrid liquid-air cooling system. Utilizing the combination of a liquid heatsink, an aluminum heatsink, and thermally conductive materials on the PCB, the SPECTRIX D80 offers comprehensive thermal cooling capabilities and delivers outstanding performance. The XPG SPECTRIX D80 RGB memory hit the 5531MHz threshold in a liquid-nitrogen-cooled configuration featuring MSI X299 GAMING PRO CARBON AC. The memory module will be at Computex Taipei at ADATA’s booth (I0608) for demonstration purposes.